Augustus Gloop Gelatery joins Miinot Gelato in serving up cold treats to the Pascoe Vale crowd, and business is absolutely booming. 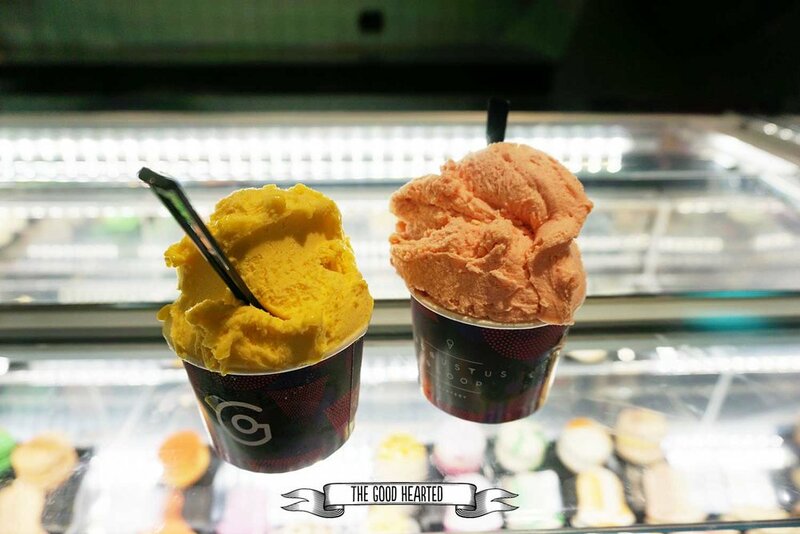 All of the store-made sorbets on offer are vegan, and there are around 6-8 different flavours each day. Great flavours we've tried include piña colada, mango and watermelon sherbet; while some other flavours we've seen include lemon, strawberry, raspberry, coconut and turkish delight. Pricing refers to 'gloops' instead of scoops, with 1 gloop for $4.50, 2 gloops for $6.50 or 3 gloops for $8.50 – enjoyed in a cup or waffle cone. Take away tubs are also available in a half litre ($12.50) or full litre ($20).